The hot sauce helped the Illinois native stick to his diet. Now, he's forever stuck on Cholula with a brand tattoo on his arm. When Aaron Ackerman decided to lose weight five years ago, he hit a serious road block: a tasteless diet. 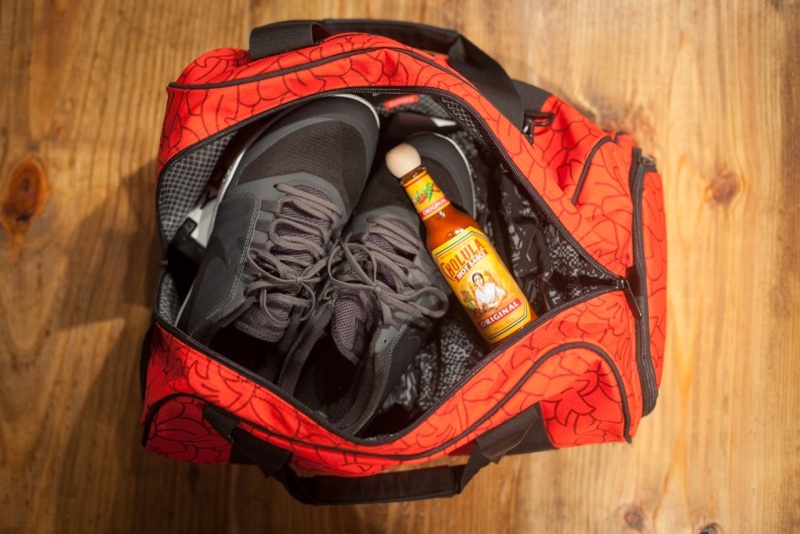 Adding salt or sugar to his foods would derail his health goals, so instead, he looked to Cholula hot sauce to give his food a much needed kick. He ended up losing 60 lbs. "It completely changed my life," he said. "Cholula really kept my taste buds satisfied, so that I could keep pushing forward with my life goals." 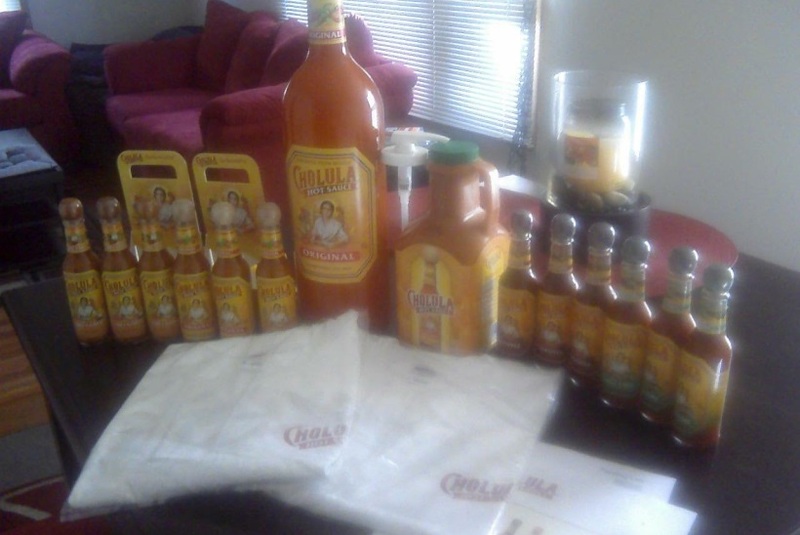 Now, the slimmer Ackerman is a founding member of Cholula's fan club, the Order of Cholula. 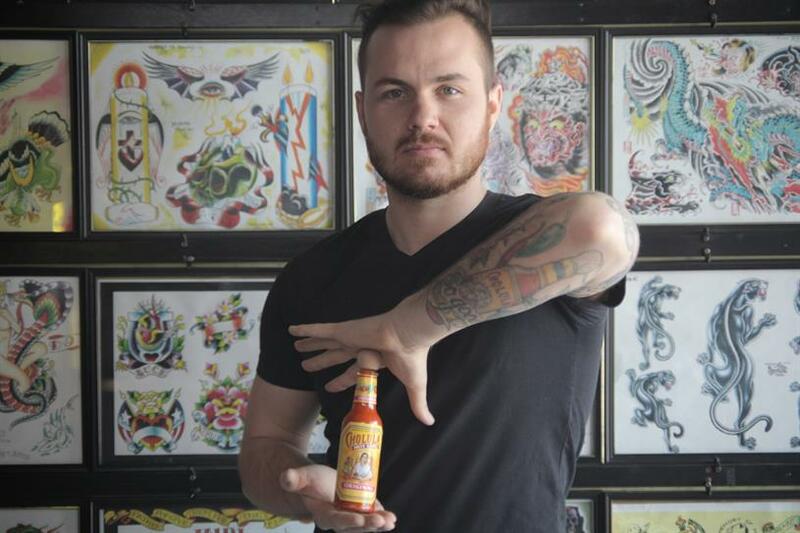 He even branded himself with a tattoo of the hot sauce on his left forearm as a reminder of how Cholula helped him during a difficult time. "All of the energy I have stems from the food I put in my body, and I'm a very big believer in 'you are what you eat,'" he said. "The depth of flavor Cholula provides keeps my food tasting amazing, which gives me the high energy needed to continue crushing life goals." How did you first encounter Cholulua? The first time I had Cholula, I was at a local Mexican restaurant and saw it on the table. I was expecting a typical hot sauce, so didn't think much of it. I thought maybe it was one of those hot sauces that burns your tongue, so I just ignored it. I was about five margaritas deep into my meal when I felt the need to try it. I braced myself for a super spicy, typical hot sauce, but actually, got a flavor I didn't expect. I couldn't stop using it on all of my food for the rest of the night. I used it on my tacos, my rice, even my chips. After my meal, I went to the grocery store and picked up five bottles. 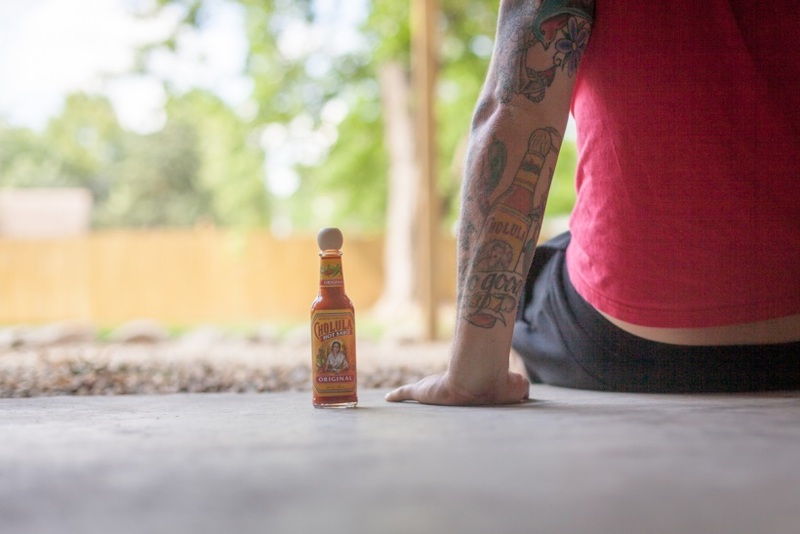 How do you show your love for Cholula every day? I have a tattoo of Cholula hot sauce permanently on my body for the rest of my life. I get stopped at least once a week by people asking if it is what they think it is, and I love telling them all about it. I love promoting the brand every chance that I get, and I can never run out of good things to say about it. The people that see the tattoo all want to talk about it and tell me how stoked they are about Cholula as well. I'm a man that wears my heart on my sleeve, and in this case, I literally wear it every day as a badge of honor and true testament of my undying love for Cholula. 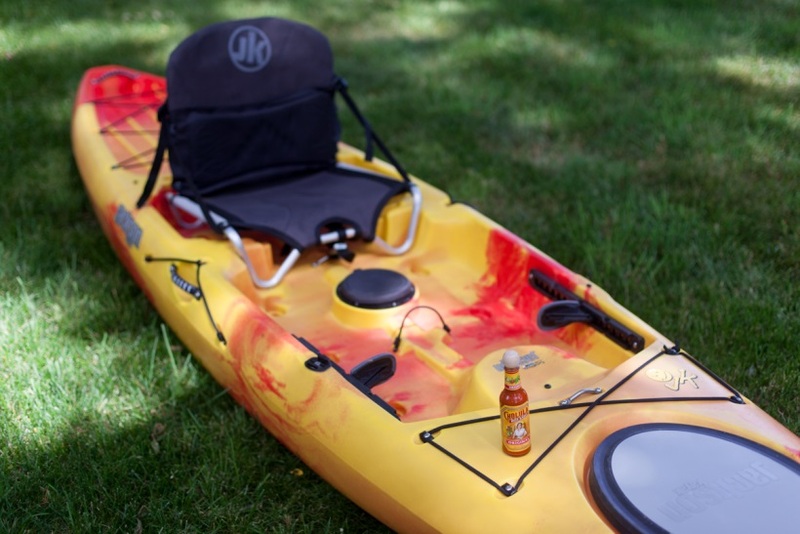 What's your coolest piece of Cholula swag? I have a giant glass Cholula bottle that the brand sent me when I first got the tattoo. I cherish that bottle. It's the first thing people see when they walk into my home. Of all of the things in my house, that is the one thing people get the most excited about. When I renovated my house, the first decoration to go up was my Cholula bottle. What's the nicest thing Cholula has ever done for you? Cholula has done so much for me, and it seems to never end. When I first got the tattoo of the bottle, they immediately contacted me. About a week later, I had two HUGE boxes show up at my house from them. It was filled with a crazy amount of Cholula. Also inside of the boxes were shirts, stickers, a note from them and my amazing glass bottle that I cherish. But then in April, they sent me down to Miami to be part of their new online fan community, the Order of Cholula, and that was an experience I will never forget. Not only did they bend over backwards to get me there when my schedule was packed, but they made sure I was completely taken care of when I was there. When I arrived in Miami, I was feeling a little sick, and the next day when we were shooting the film for them, I was not feeling good at all. It was a terrible feeling. They did everything they could to help get me better and would not stop offering things to get me well. They were all extremely comfortable to work with and made me feel right at home. I cannot thank them enough for everything they have done for me. If you could change one thing about Cholula, what would it be? Not. One. Thing. Everybody I have ever come into contact with speaks so highly of Cholula and everything they represent. Cholula is doing everything perfectly, and I wouldn't expect anything less from them. What's the one thing that would make you disloyal to Cholula? It would take a lot for me to become disloyal to the brand. Cholula has been doing everything so right for many years, and they've been in business long enough to know what to do and what not to do. They stick to their roots with the original hot sauce but while also playing with new flavors that people all desire. They know what they are good at, and they stick to it. Jolly Roger Skate Shop isn't a big, corporate brand, but it is a brand that I fully stick behind. They are a local skate shop near me, operated by a power couple. If I ever feel like I have some sort of creative block or need some motivating to push me to go do something, I can always count on them to be the push I need. They may not realize it, but the creativity they possess is contagious. When you walk into the shop, you always see new things, new ideas, new everything. The level of energy these two have is so captivating. Every shirt they put out is better than the last shirt. Every graphic they put out is better than the last. To see somebody create something better and better each time you visit, is the most motivating thing you can see. From the shirts, to the skateboards, to the creative process, every part of this company is motivating down to the core, and we need more places like that. Places that aren't fueled by money, but by the satisfaction they get when they create something from nothing.